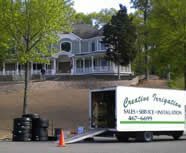 Call on Creative Irrigation of Long Island for your irrigation project whether you need an irrigation system put in place for a new build construction, want to add a sprinkler system to your current home or are needing to renovate an existing sprinkler system. During the sprinkler installation an experienced crew will use the most modern line laying equipment available to insure minimal damage to your lawn. There is no trenching needed for the installation of the irrigation lines. 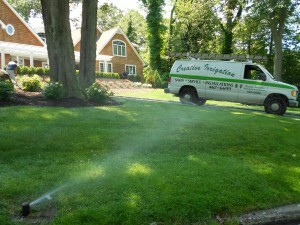 No other contractor is needed for the installation of your irrigation system. From the plumbing to the electrical wiring, our professionals do it all. Your controller will be plugged in to a convenient wall outlet. From the controller, electrical wiring is low voltage and is done by our technicians. After the necessary wiring is completed we test the entire system for proper operation and control accuracy. 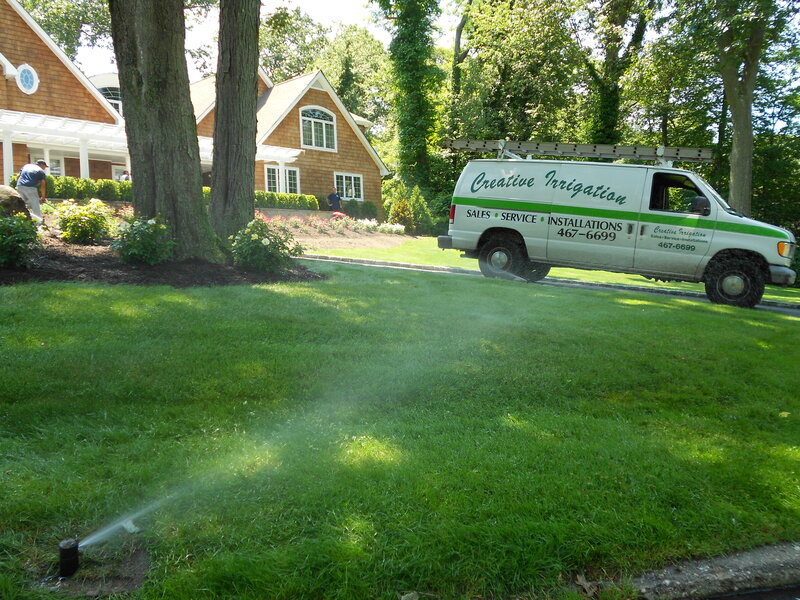 When the necessary labor for the sprinkler system installation is complete, Creative Irrigation will then charge both the main and lateral lines to ensure your system is in full working order and watering the proper locations. All heads will be checked and adjusted accordingly after the installation is complete. Consider improving the efficiency and coverage of your new system with the multi-stream MP Rotator nozzle. We will instruct you in the proper use of the irrigation controller. You can count on us to continue to service and maintain your new sprinkler system with our repair and maintenance services; including winterization, spring start-up and mid-seasonal adjustments. Other convenient options for your sprinkler system include the addition of a remote control system or a sensor, such as a Freeze/Rain Clik. Upgrade your sprinkler system with a timer remote control and save yourself the hassle of going back and forth when performing maintenance and system checks. Sensors are an imperative feature of any efficient irrigation system. Without one, sprinklers continue to run during inclement weather conditions, wasting water and causing embarrassment for the homeowner. The Hunter Rain-Clik commands a controller to shut off immediately right when it starts to rain. The Rain/Freeze-Clik also shuts down systems when the temperature drops, so there’s no danger of hazardous excess icy buildup. Either sensor can be mounted on an eave or any flat vertical surface like a wall or fence. A gutter mount is also available that allows for easy installation on the edge of gutter. Learn more about the features and benefits of sensors in our FAQ area. In addition to our residential sprinkler system services, we also specialize in commercial irrigation and drip irrigation installation and service. in the Long Island area. To discuss your needs, or request an estimate, call us at 631.467.669 or fill out our estimate request form. We look forward to working with you.